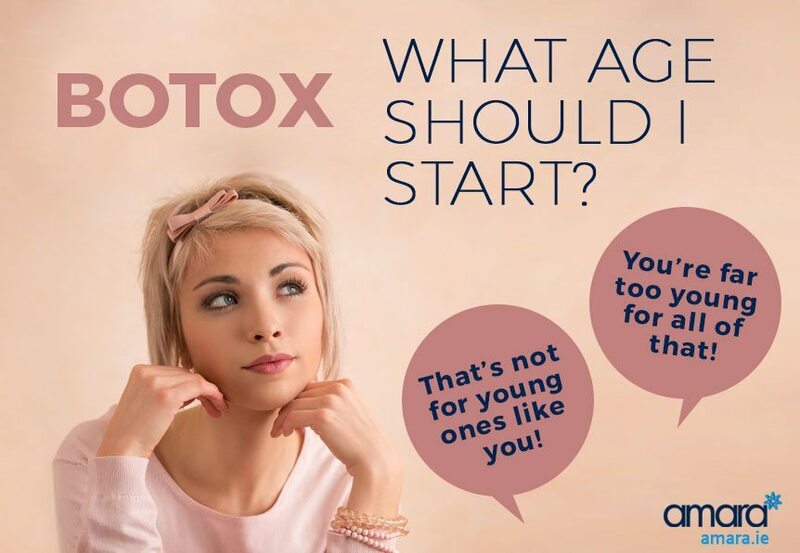 Botox - What Age Should I Start Botox Treatments? Does “You’re far too young for all of that” or “That’s not for young ones like you” sound familiar to you? People who are interested in Botox are usually told by those around them that they are too young and that Botox is only for those who are considered ‘old’. But when is too young to start having Botox? The truth is that it’s different for everyone! Obviously Botox for cosmetic reasons in the face is not available to anybody under 18, but for under 25s in general the treatment is probably not necessary. Botox Treatments – When to Start? In our mid 20’s is when the first clear signs of ageing begin to show, particularly, for those who do not use SPF daily or those who were just unlucky with genes. However many people in their 20’s have begun getting Botox as a method of prevention for wrinkles and fine lines and this has been steadily gaining in popularity over the years as young men and women are seeking prevention rather than cure! Getting Botox before lines appear will prevent them from appearing, this is particularly popular with the forehead where lines first tend to appear. Although lines before 25 are unlikely it is not unheard of! I have had mothers and daughters in my clinic who both suffered with lines since their teens! Our genetics, stress and lifestyle all contribute to where we first start to see lines. Luckily Botox and lip fillers are not permanent and will wear off with no side effects, if you then decide they are not for you! Botox usually last 4 months and fillers can last between 12 and 18 months. Find out more about fillers in our lip fillers fact file! First off do your research! Luckily you don’t hear as many ‘back door botox’ stories as you used to with the increase in celebrity use of Botox and the internet younger people are more informed! Research for the best Botox clinics in Ireland or the best Botox Clinics in Dublin and see who keeps appearing. Research for the best botox Doctor in Ireland too and look for any reviews of them and the clinic. Unfortunately due to the secrecy that still surrounds botox this can sometimes be tricky but persevere and you’ll find some good info. 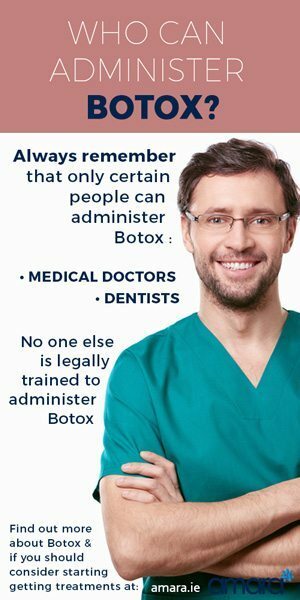 No one else is legally trained to administer Botox. After you’ve done your research (and read our post full of Botox information) book in for a consultation first and talk to your doctor about exactly what you want. Your doctor should never be pushy or make you feel like you have to have anything done – with a consultation you always have the option of changing your mind. I insist on a full medical history before any treatment at Amara, I will then talk through what you desire from or what you may think you might need. If i think that Botox would not be suitable for you either because of your age or any other reason then I will inform you of this. Yes Botox may work better as a preventative measure but it is still effective at removing fine lines and wrinkles. Why not contact me to find out more!